Whilst I do not in general adore black shoes, these amazing pumps from Casadei would look incredible in any colour. 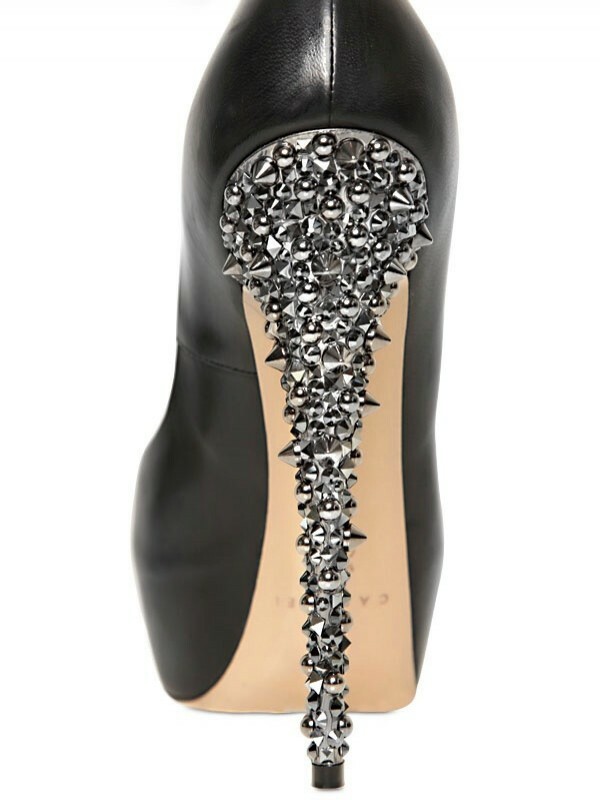 he addition of studs and swarovski crystals all over the heels of course simply brings them to another level. They are incredibly pretty - much like a greatly adorned piece of weaponry. They do look a little bit dangerous - very edgy and impossible to ignore. The extra height from the fairly high concealed platform does a wonderful job of flattering the leg and lengthening them as well. Such a stunning pair of party heels. They can be yours for £925 if you would like to buy them.